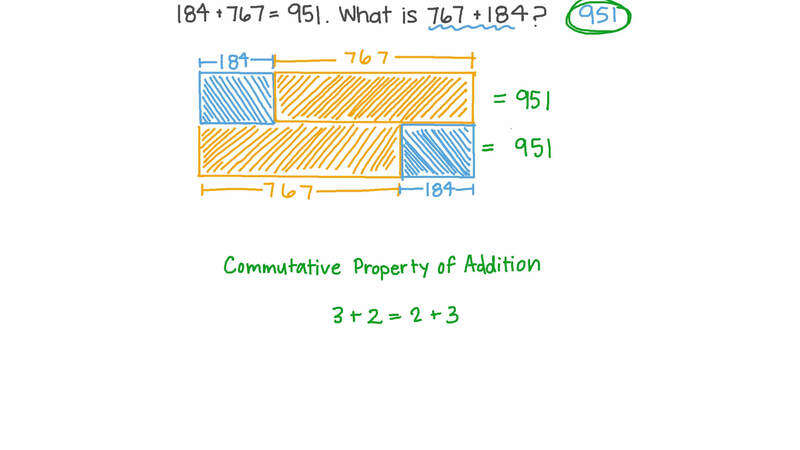 In this lesson, we will learn how to use the commutative and associative properties to add whole numbers and decimals mentally. 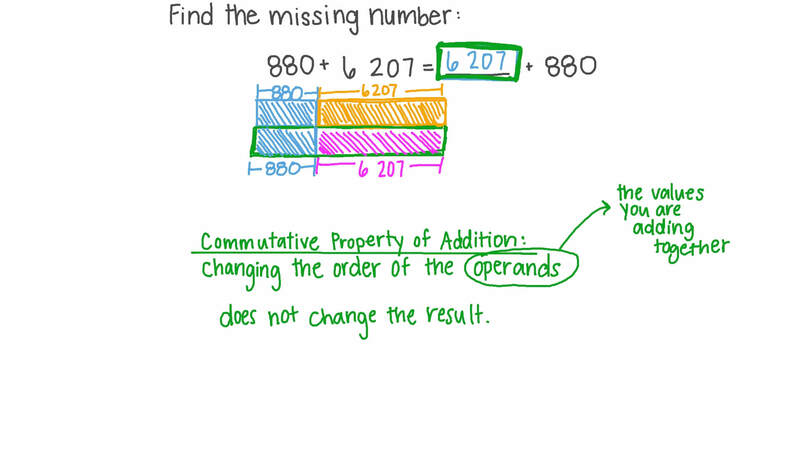 Find the missing number: 8 8 0 + 6 , 2 0 7 = + 8 8 0 . 1 8 4 + 7 6 7 = 9 5 1 . What is 7 6 7 + 1 8 4 ? 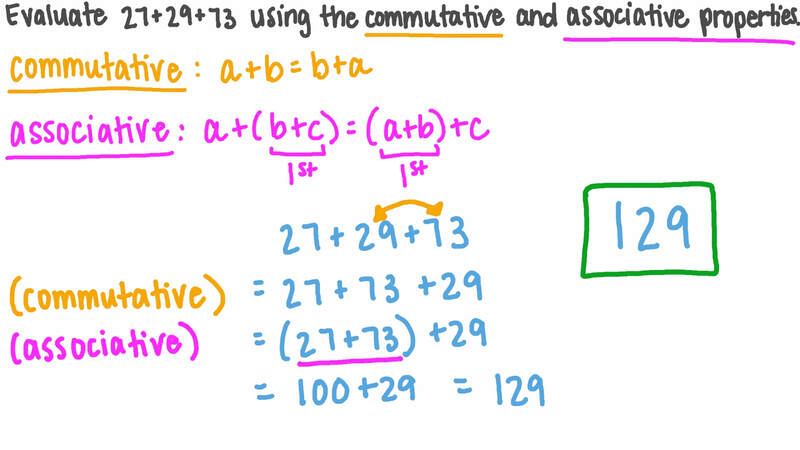 Evaluate 2 7 + 2 9 + 7 3 using the commutative and associative properties. Sameh saved 915 piastres in the first month, 940 piastres in the second month, and 985 piastres in the third month. How much did he save in total? Adel saved 815 piastres in the first month, 785 piastres in the second month, and 825 piastres in the third month. How much did he save in total?